Appreciating Wrocław’s historical highlights can be tricky on a self-led tour. 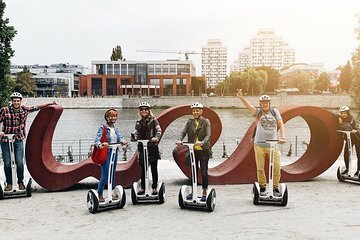 Explore the Old Town with a local guide for intimate insight into the scenic center, and transfer by Segway for a memorable and efficient sightseeing experience. Discover Old Town attractions including the Main Square, St. Mary Magdalene Church, and Racławice Panorama on a private tour, and choose from a range of departure times to suit your schedule.